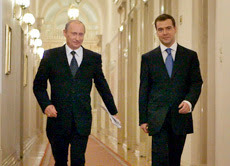 In an astounding exercise of sophistry, Ural Asbestos Mining & Ore Dressing Company with the active support of Russian government (in photo: Vladimir Putin and Dmitry Medvedev) is hiding behind International Labour Organisation (ILO)' 'Convention 162 on Safety in the Use of Asbestos that was adopted in 1986. On April 8, 2000 ILO Convention 162 was ratified in Russia by. Federal Act 50-FZ “About the ratification of Convention on Safety in the use of asbestos from 1986” In 1975, Soviet Russia overtook Canada and became the largest producer of asbestos. Currently, Canada is the second largest producer of asbestos. Canada and Russia are working in tandem to stop the inevitable ban on asbestos of all kinds. 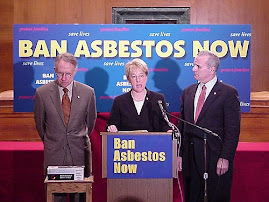 It is noteworthy that past asbestos exposure is causing 10, 000 deaths every year in US that has compelled US Senate to pass Ban Asbestos America Act 2007. Russian scientific research center – Ekaterinbourg medical center is carrying out research works on the problem (based on «Uralasbest» company). 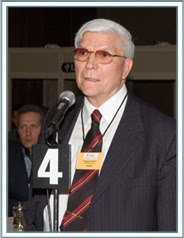 N. F. Izmero, Russian asbestos industry expert who is associated with state run organization Research Institute of Occupational Health of Russian Academy of Medical Sciences says, "According to our studies all detected in Russia cases of asbestosis and lung cancer are the result of long-lasting professional contact in conditions of extremely high levels of asbestos containing dust concentration." It is 21 years since the ILO’s asbestos guidelines were introduced. By the mid-1980s when Convention 162 was drafted, only the Scandinavian countries had banned asbestos. In 2006, 40 countries in Europe, the Americas, the Middle East, the Antipodes and Asia have imposed national asbestos bans. Major international bodies including the International Programme on Chemical Safety, the European Union, the Collegium Ramazzini, the Senior Labour Inspectors Committee, the International Social Security Association, the World Trade Organization, the Building and Woodworkers International, the International Metalworkers’ Federation and the International Confederation of Free Trade Unions support the pro-ban position. So do the Governments of: Argentina, Australia, Austria, Belgium, Chile, Croatia, Cyprus, Czech Republic, Denmark, Egypt, Estonia, Finland, France, Gabon, Germany, Greece, Honduras, Hungary, Iceland, Ireland, Italy, Japan, Kuwait, Latvia, Lithuania, Luxembourg, Malta, Netherlands, Norway, Poland, Portugal, Saudi Arabia, Seychelles, Slovakia, Slovenia, Spain, Sweden, Switzerland, United Kingdom and Uruguay and scores of independent scientists. Russian position is a manipulation of the true situation. In fact, Convention 162 does call for the prohibition of asbestos. However, this Convention refers principally to the measures required for the prevention of exposure to asbestos which is already installed. This standard is vital for the protection of those involved in renovations and demolition, for example, carpenters, plumbers and other trades. ILO Convention 139 on Cancer causing substances calls for the substitution of known cancer causing substances, and this is the only logical, health based approach to the use of chrysotile asbestos. The failure of the ILO to refute these assertions made by the pro-asbestos salesmen is shameful. It is imperative that we have a clear position from the ILO on this matter. 1. Each Member which ratifies this Convention shall periodically determine the carcinogenic substances and agents to which occupational exposure shall be prohibited or made subject to authorisation or control, and those to which other provisions of this Convention shall apply. 2. Exemptions from prohibition may only be granted by issue of a certificate specifying in each case the conditions to be met. 1. Each Member which ratifies this Convention shall make every effort to have carcinogenic substances and agents to which workers may be exposed in the course of their work replaced by non-carcinogenic substances or agents or by less harmful substances or agents; in the choice of substitute substances or agents account shall be taken of their carcinogenic, toxic and other properties. “Prohibit and enforce the prohibition of the production and use of chrysotile fibres and products containing them or restrict chrysotile to essential uses in which no safer alternatives are available." In the face of such recommendations, Russia remains the largest asbestos producer and consumer in the world. In Russia only chrysotile is produced and used. Now 11 deposits of chrysotile are prospected with balance reserve of about 111 mmillion tons. Two big enterprises are working on mining and milling of chrysotile ore: «Uralasbest» and «Orenburgasbest». N. F. Izmero says," the question about banning chrysotile is usually raised by the countries where pure chrysotile free of more hazardous and justly prohibited amphibole asbestos fibres has never been used." Among the general risk factors of asbestos related diseases the most significant also are tobacco smoking, chronic bacterial infection, traumatic injuries of organs, genetic predisposition, etc. allowed us to bring out a «dose-effect» relationship, to ground «critical» value of dust load in total mass of inhaled dust, which is equal to 100 grams of total dust during all the period of contact. It claims that its data were confirmed by results of Russian-Finnish-American research project “Health and exposure surveillance of Siberian asbestos miners”. Development of dust-related (and asbestos-related in particular) changes in health status was found only among workers of old asbestos enrichment factories closed now, where dust levels exceeded current thresholds several hundred times. In Russia, there exists a “Judgment on the problem of total ban of asbestos by the Russian group of governmental experts” (2002). It would be worthwhile to know the source of funding of the agency that came to the judgment that allows use, trade and exposure of asbestos by its won citizens and the people of the developing countries like India. New Delhi, Dec 12 (UNI) Environment NGO Ban Asbestos Network of India (BANI) has expressed concern over the proposal to lift the ban on mining of asbestos, the cancer causing material used in construction. It said stories of the toll asbestos takes on people are yet to hit the headlines in India as has been the case in the US, Europe, Australia and Japan. Workers in India work up to their knees in asbestos powder, breaking up asbestos cement roofs and pipes. Quoting the recent UN statistics, it said India imported roughly 306,000 MT of asbestos in 2006, out of which 152, 820 MT was imported from Russia, 63, 980 MT from Canada, 48, 807 MT from Kazakhstan and 34, 953 MT from Brazil. So far, some 45 countries have banned this killer fiber. Asbestos consumption is rising dramatically in India while US Senate passed the Ban Asbestos in America Act on October 4, 2007 unanimously. Asbestos is banned in Europe since January 1, 2005. But countries like Russia, Canada, Kazakhstan and Brazil continue to produce, trade and promote it in India. The Russian Federation has also been found to be exporting asbestos industry waste to India. The NGO said research was showing asbestos epidemics across the globe even in countries where it was currently banned, as the consequence of past exposure. In its report titled 'Asbestos: the iron grip of latency' issued last year, the International Labour Organisation has already said that asbestos was still the No.1 carcinogen in the world and the dumping of asbestos on developing countries will "prove to be a health time bomb in these countries in 20 to 30 years' time." The NGO said it was unfortunate that the Union Ministry of Mines and Minerals had proposed to lift the existing ban on asbestos mining. ''The Ministry was ignoring the views of exposure victims, informed recommendations of public sector medical experts, and mounting evidence of an asbestos disease epidemic emerging in developed countries. The rationale to permit mining is hollow,'' it added. 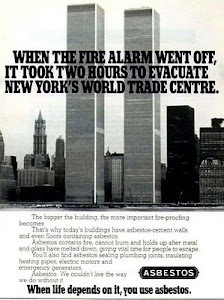 It said research had found that needle-like crystals permanently penetrate the lung tissue when dust-sized particles of asbestos were inhaled. The crystals can eventually cause scarring of the lungs, called asbestosis, and can cause cancer of the lining of the lung, called mesothelioma. Both diseases were incurable and terminal." In such a situation, BANI said, it was inexplicable as to why discredited and false claims of 'safe use' of asbestos by the industry were being repeated by Namo Narain Meena, the Minister of State for Environment saying, "No complaints have so far been received regarding its carcinogenic content and its hazard to health and environment." This is in stark contrast to the Ministry' own admission in the Supreme Court that 16 per cent of the workers exposed are suffering from asbestos related diseases, it said. 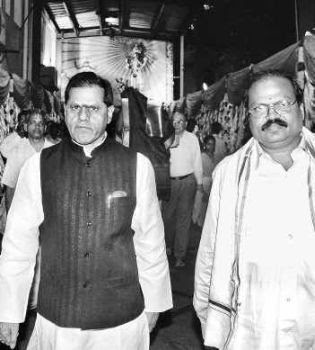 T. Subbarami Reddy worships the Demon named AS-BES-TOS even as the Chairman of the Tirumala Tirupati Devasthanams, a very religious institution. Unexamined in the media, workers in India work up to their knees in asbestos powder, breaking up asbestos cement roofs and pipes. Stories of the toll asbestos takes on people are yet to hit the headlines in India as been the case in US, Europe, Australia and Japan. Indian homes are often built of asbestos cement roofs, and people cut their own windows and doorways. Research is showing asbestos epidemics across the globe even in countries where it is currently banned, as the consequence of past exposure, with estimated deaths reaching 30 per day. Union Ministry of Mines and Minerals is all set to lift the existing ban on asbestos mining. It is ignoring the views of exposure victims, informed recommendations of public sector medical experts, and mounting evidence of an asbestos disease epidemic emerging in developed countries. The rationale to permit mining is hollow. The International Labour Organization said in January 2006 that asbestos is still the No.1 carcinogen in the world in its report titled "Asbestos: the iron grip of latency." It adds, the dumping of asbestos on developing countries will "prove to be a health time bomb in these countries in 20 to 30 years' time." Jukka Takala, Director of the ILO InFocus Programme SafeWork, issued the report. While white asbestos mining is currently banned in India, its import, export or use in manufacturing is permitted. But recently, the Ministry of Mines has indicated that it may lift the mining ban. The reality is that the country's most powerful parliamentarians bless the asbestos industry. On 1 January 2006, production began at an asbestos-cement factory in Rae Bareli, Uttar Pradesh, in the constituency of Sonia Gandhi. The factory is of Visaka Industries, one of India's largest asbestos groups. The company also has asbestos-cement factories in Andhra Pradesh, Tamil Nadu, West Bengal and Karnataka. The Chairman of Visaka Industries, G Vivekanand, is the son of the G Venkataswamy, Member of Parliament, Deputy Leader of the Indian Congress Parliamentary Party and a former Union Textile Minister. Visaka Industries has asbestos plants located even in Midnapore in West Bengal where CPI(M) is the ruling party for more than 25 years. Although Centre of Indian Trade Union and All India Trade Union Congress have called for ban on asbestos and have also written to the Prime Minister, the fact remains, that the CPI (M) has not gotten rid of it from their own backyard. There are some states, for instance Assam, UP, and Tamil Nadu, where asbestos factory units are run by the state governments. Pulivendala, Andhra Pradesh Chief Minister Y S Rajasekhara Reddy's constituency, has 14 mines. In September 2004, P Dayasankar, Director, Andhra Pradesh's State Mines and Geology Department was reported in the Business Standard to have predicted that the ban on mining may well be lifted. Taking the line that state and central health agencies were also in favour of lifting the ban, he said: "We have already represented the matter to the government of India for the appropriate decision. To my knowledge, the Centre is on the verge of taking a positive decision." It is not difficult to notice why the entire political establishment wears blinkers when it comes to acknowledging the fact that currently over 45 countries including Europe have banned all forms of asbestos including chrysotile (white asbestos) due to health hazards. With asbestos firms being owned by politicians or the state itself, the government seems to be following a classic ostrich policy. "Research has found that needle-like crystals permanently penetrate the lung tissue when dust-sized particles of asbestos are inhaled. The crystals can eventually cause scarring of the lungs, called asbestosis, and can cause cancer of the lining of the lung, called mesothelioma. Both diseases are incurable and terminal." In such a situation it is inexplicable as why discredited and false claims of 'safe use' of asbestos by the industry is being parroted by Namo Narain Meena, the Minister of State for Environment saying, "No complaints have so far been received regarding its carcinogenic content and its hazard to health and environment." This is is stark contrast to Ministry’ own admission in the Supreme Court that 16 % of the workers exposed are suffering from asbestos related diseases. Dr Barry Castleman’s presentation at the workshop in New Delhi demolished the myth of safe and controlled use of all kinds of asbestos. Dr Castleman is the author of Asbestos: Medical and Legal Aspects that is in its fifth edition. The book provides accurate and authoritative information in regard to the subject matter. He is well known for his role in global ban asbestos movement and the passage of Ban Asbestos America Act 2007 in the US Senate. 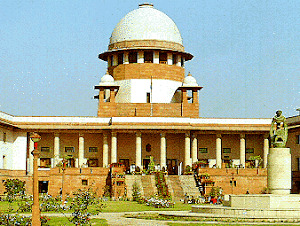 His expert opinion is being filed in the Supreme Court of India in December 2007 in the Hazardous waste/Blue Lady case that is still sub judice. Inhaling microscopic asbestos particles is enough to deposit particles in the lungs. Export of chrysotile asbestos by Russians and Canadians to developing countries is "criminal" and is killing workers in India. Hundreds of thousands of factory workers, construction workers and consumers across India inhale chrysotile asbestos every day. Workers are too poor or uneducated to demand better working conditions and materials. Till date only 11 workers have been compensated for asbestos-related diseases. Canadian government is promoting this killer fiber with some 800 miners working in the industry. Like Russian government, Canadian government too makes a claim that efforts are made to promote the safe use of chrysotile in the 65 countries that import it. It will have Indian workers, consumers and the governments believe that chrysotile fibres are far less potent or harmful than most traditional forms of asbestos that are no longer mined or used in Canada. At low levels and following proper safety rules, studies have shown chrysotile poses a minimal health risk. Russian and Canadian government are against a general ban on chrysotile asbestos. Dr Castleman said, "It's baffling that Canada would be involved in this activity which, for a nation, it's criminal." It is noteworthy that the Union Health Ministry has informed the Parliament: "Studies by the National Institute of Occupational Health (NIOH), Ahmedabad, have shown that long-term exposure to any type of asbestos can lead to the development of asbestosis, lung cancer and mesothelioma." Dr. Anbumani Ramadoss, Union Health Minister informed the Lok Sabha, "Regarding asbestos, a lot of poor people use it. As regards the issue pertaining to banning of asbestos, as a health issue, the Government certainly has not taken it up. It is an occupational hazard and people working in the asbestos factories are prone to lung cancer, but we are taking the enormity of the usage of asbestos. Mostly, poor people in the villages use it. Hence, I cannot take a decision on this issue." Recently the manner in which chrysotile asbestos industry has been funding research of NIOH to get favourable opinion about the killer fiber was exposed in national media. Association, a corporate NGO and Asbestos Information Centre, a corporate NGO both are affiliated to multinational asbestos producers through International Chrysotile Association. Since 1984, environmental monitoring and health surveys have led to in-depth studies in asbestos based industries in India, highlighting an occupationally vulnerable worker population. It was noticed that the workers occupationally exposed to asbestos have a maximum impairment in their pulmonary function test. Besides the consumers, workers employed in the cement-asbestos factories also suffer from the exposure to asbestos. Its incubation period is long, it takes as long as 25 to 30 years for the fibers to make their presence felt in the human body but by then it is incurable. In the developed countries, insurance companies have stopped covering workers employed in asbestos factories and mines. It was in view of the deleterious effect of asbestos mining on the health of the workers, the central government ordered the state governments in 1986 not to grant any new mining lease for asbestos (including chrysotile variety) in the country. In June 1993, the central government stopped the renewal of existing mining leases of asbestos. The ban was imposed in phases in 1986 and 1993 but not on its use, manufacture, export and import, as noted earlier. But despite the ban on mining, illegal mines are operating in the states of Jharkhand, Rajasthan and Andhra Pradesh. Most asbestos-cement is using imported asbestos, some of it is being sourced from the illegal mining though that is a relatively small proportion. Committee under Chairmanship of S K Saxena, Director General, Directorate of General Factory Advice Service and Labour on the issue of medical benefits and compensation to workers affected by handling of hazardous waste, toxic in nature. The Saxena Committee's report mentions lung cancer and mesothelioma caused by asbestos in all work involving exposure to the risk concerned. The Union Ministry of Mines has proposed to lift the existing ban on mining of chrysotile asbestos. The government volte-face signals the culmination of a debate that began in 1998 when the Ministry of Mines and Minerals (MOMM) asked the Indian Bureau of Mines (IBM) to assess the feasibility of lifting the ban on expansion of asbestos mining after assessing pollution levels in asbestos mines and processing plants in Rajasthan and Andhra Pradesh. On 10 March 2006, the Ministry of Mines and Minerals issued a statement saying, "IBM has been asked to work out necessary safeguards/measures in consultation with Central Pollution Control Board subject to which chrysotile asbestos mining can be permitted so as to ensure worker's safety." The manifest support the asbestos industry appears to enjoy from the ruling United Progressive Alliance (UPA) seems illustrative of an unhealthy consensus, overall. In the meantime, research from leading Indian institutes continues to contradict the Ministry's push to lift the ban. In India, the mining and milling of asbestos is done in Cuddapah (Andhra Pradesh) and Devgarh (Rajasthan). An in-depth study conducted by Industrial Toxicology Research Centre (ITRC), Lucknow in Beawer and Deovgarh Rajasthan observed higher fibre concentrations in the milling units. All the units belong to the unorganised sector where technology is poor and laws and regulations are simply not in force. The ITRC team observed prevalence of asbestosis in less than five years, which is very high and alarming. ITRC is a constituent laboratory of Council of Scientific and Industrial Research (CSIR), an autonomous body associated with the Union Ministry of Education. It is dedicated to provide health safeguards to industrial and agricultural workers through its rich knowledgebase, created painstakingly over the years. Dr Qamar Rahman, a senior scientist with ITRC, visiting Professor at Rostock University, Germany and Dean, Research & Development, Integral University, Lucknow says that on the basis of the report and recent studies conducted in the milling units, the ban on asbestos mining should not be lifted. She notes that mining and processing are the part of each other and conditions need to be improved at both the places simultaneously. "In the milling or grinding area fibre concentration is very high, workers do not use gloves, masks and protective clothing. They use primitive manual way for grinding," she says, alarmingly. The housekeeping in the units are also very bad, feels Dr Rahman. "At the moment unauthorised mining of asbestos is going on in Rajasthan and workers are heavily exposed. If the ban will be lifted conditions will further deteriorate. Keeping in view the above facts the ban on asbestos mining should not be lifted," said Dr Rahman in her comments to the central government on a report regarding lifting the ban on asbestos mining. The Ministry of Mines chooses to ignore such suggestions in the same way as it has ignored the plight of victims of white asbestos mines in Roro Hills, Chaibasa, Jharkhand abandoned by Hyderabad Asbestos Cement Products Limited (now known as Hyderabad Industries Limited). The rationale to support the continued use of this killer fiber used in over 3,000 products is barbaric and inhuman. It continues to devastate workers and consumers, but the extent of the tragedy remains largely uncovered in Indian media. P.S: A shocking expose on India TV channel on 10th December, 2007 showed how asbestos powder is being mixed in Basmati rice (a very popular and sought after variety of rice in the north and exported) during polishing to give it that extra whiteness. The expose showed workers mixing dry asbestos powder and talcum powder in rice with bare hands. The bags in which they were being filled had the following printed on them "Mohan Basmati Rice" "Export quality". Amid recent discussions in the winter session of parliament and in the backdrop of the controversial statements of Union Minister of Health and Minister of State for Mines, the Workshop on Occupational Health at India Habitat Centre, New Delhi is discussing global asbestos struggle. Renowned scientists and experts of asbestos, occupational health and nanotechnology like Dr Barry Castleman among others are scheduled to address the workshop. Dr Castleman would also address the issue of Threshold Limit Value (TLV), a chemical substance defines the reasonable level to which a worker can be exposed without adverse health effects. TLV for particulates (such as dust etc) are constantly under excessive corporate influence. As part of an ongoing international effort is needed to develop scientifically based guidelines to replace the TLVs in a climate of openness and without manipulation by vested interests, the workshop would dwell on the role of Russian and Canadian chrysotile asbestos producers and Indian chrysotile asbestos product manufacturers. Dr Castleman’s magnum opus Asbestos: Medical and Legal Aspects which is in its fifth edition provides accurate and authoritative information in regard to the subject matter. He is well known for his role in global ban asbestos movement and the passage of Ban Asbestos America Act 21007 in the US Senate. His expert opinion is being filed in the Supreme Court of India in December 2007 in the Hazardous waste/Blue Lady case that is still sub judice. The workshop is being organized by Centre for Occupational & Environmental Health, Maulana Azad Medical College. Note: Investigations into the historical development of specific Threshold Limit Values (TLVs) for many substances have revealed that unpublished corporate communications were important in developing TLVs for 104 substances. Out of these 104 substances, for 15 substances, the TLV documentation was based solely on such information. Efforts to obtain written copies of this unpublished material have been mostly unsuccessful. Corporate representatives listed officially as "consultants" since 1970 were given primary responsibility for developing TLVs on proprietary chemicals of the companies that employed them. "Research has found that needle-like crystals permanently penetrate the lung tissue when dust-sized particles of asbestos are inhaled. The crystals can eventually cause scarring of the lungs, called asbestosis, and can cause cancer of the lining of the lung, called mesothelioma. Both diseases are incurable and terminal." 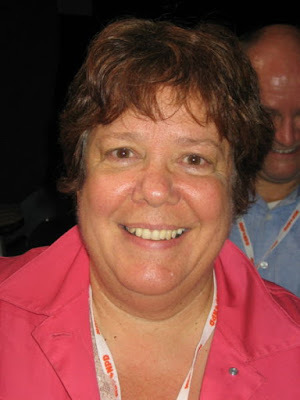 Ban Asbestos Network of India (BANI) appreciates the statement of Pat Martin and Libby Davies, Members of Parliament, Canada who have taken Canadian Government to task saying, "We are exporting human misery at a staggering rate. Canada should be joining the international community to stop the production of asbestos and its export." New Democratic Party (NDP), Canada has called on their government to shut down Canada's asbestos industry and scrap "horrifying" regulations that allow the use of the cancer-causing mineral in children's toys and other products. New Democratic MPs Pat Martin and Libby Davies released test results on December 1, 2007 showing that asbestos is present in a popular new children's toy made in China (CSI Fingerprint Examination Kit). BANI supports the call to ban Chinese asbestos laden toys in particular and all kinds of asbestos in general. Quite like its Indian counterpart, the Canadian government has fallen prey to "aggressive industry lobbyists" and is keeping its head in the sand about the dangers of asbestos. Ms. Davies said. "There is no safe level of asbestos," she said. "There's no question that it's a carcinogen. Canada, which exports more than 200,000 tonnes of asbestos each year, should develop a relief program for workers and shut down the industry, she added. Globe and Mail, the Canadian newspaper published has published the results. "Asbestos is the greatest industrial killer the world has ever known and you would have to be insane to put asbestos in children's toys," Martin said. "It would be like putting razor blades in Halloween apples. So what does that say about a government that would allow it?" Martin said new regulations under Canada's Hazardous Materials Act allow asbestos-laden products "used by a child in education or play." BANI has written to Canadian Tony Clement, the Canadian Health Minister and Canadian newspapers like Globe and Mail, Toronto Star, the Montreal Gazette, the Winnipeg Free Press, the Ottawa Citizen and the Vancouver Sun to ensure that a ban on the use and export of asbestos is announced at the earliest. BANI is one of the co-founders of Ban Asbestos Canada that has been part of ban asbestos campaign in Canada. It has been argued by CSI kit manufacturers that its product meets all U.S. safety standards, but interestingly it noted that U.S. agencies "don't require asbestos testing and therefore we have never been apprised of any unacceptable levels of asbestos." The Chinese toys have flooded Indian market. Most recently the fact of toxic Lead in these toys have been proven. This shows that these toys are not tested for any chemical health hazards including asbestos. In any case Indian Commerce and Environment Ministry has been promoting the use of killer asbestos fiber under the guidance of Cabinet Committee on Economic Affairs (CCEA. The new asbestos plants in Jaunpur and Raebarely, Uttar Pradesh and at other places shows that CCEA has refused to take cognisance of the incontrovertible evidence of the toll asbestos epidemic is taking across the globe due to past exposure despite its ban in some 45 countries. Earlier a conference on Canadian Asbestos: A Global Concern in Ottawa on September 12, 13 and 14 2003 culminated in the passing of a resolution seeking ban on all forms of asbestos and the formation of Ban Asbestos Canada. The Asbestos Institute now renamed as The Chrysotile Institute in Montreal received a total of $54 million from the Federal Government, the Quebec Government and the asbestos industry to promote "the safe use of chrysotile asbestos in Canada and throughout the world between 1984-2001. The conference also called on the Canadian government to withdraw its funding to this institute. 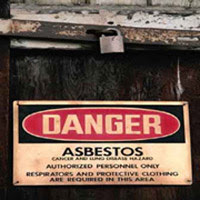 Some of the trade unions expressed the hope that if Paul Martin who is likely to become the next Prime Minister of Canada will play a constructive role in getting white asbestos banned. Martin belongs to the Liberal Party. Martin is the Member of Parliament in Montreal, Quebec. He has been a business executive Power Corporation of Canada, in Montreal, and as Chairman and Chief Executive Officer of Canada Steamship Lines. After the conference Ban Asbestos Network of India (BANI) submitted a petition to Joe Comartin, member, Parliamentary Committee on Environment and Sustainable Development expressing its appreciation of the conference on Canadian Asbestos: A Global Concern in Ottawa on September 12, 13 and 14 2003 organized with him as the President. The petition sought immediate ban on white asbestos. Some of the Canadian trade unions are quite well informed about the hazards of white asbestos. Those trade unionists who attended the conference endorsed the call for the ban on white asbestos. BANI endorsed the call given by the conference to the Canadian government to withdraw its funding to The Asbestos Institute which is now renamed as The Chrysotile Institute. This institute has been supporting the Asbestos Information Centre in India and has been very active in promoting asbestos in India. The myth of so-called ¡°safe use¡± has been shattered by none other than Martin Barratt, Second Secretary (Commercial), Canadian High Commission in India when he admitted that even the Asbestos Information Centre agrees that there are problems with the ¡°safe use¡± of asbestos in the unorganised sector. Mr. Barratt is concerned that if a ruling is passed which states that subjecting a worker to asbestos is a violation of human rights it could have far reaching consequences whether or not it is binding¡±. In India, workers slice open the bags of Canadian asbestos with knives, then shake the bags into troughs and mix it with cement to make piping. The unprotected workers are completely covered in asbestos dust, and there are absolutely no precautions in place. Most of the Canadian asbestos is used in the rural India where there is no health infrastructure in place. Each passing day is taking more than hundreds of thousands of workers towards death. Human biology is the same everywhere, if asbestos of all kinds including white asbestos is cancer causing in over 30 countries how can it be non-hazardous and safe in India. How can asbestos be allowed to cause havoc while waiting for another 30-40 years for more studies to conclude that white asbestos is a carcinogen, says Dr T K Joshi, a fellow of the Collegium Ramazzini, an international body of occupational health experts. BANI appealed to the Canadian House of Commons through Mr Comartin to eliminate the burden of disease and death and save the India from yet another disaster. The international epidemic of ill-health and death caused by exposure to asbestos has been raging for decades. As Western countries have sought to control harmful exposures by implementing national prohibitions on the use of asbestos (including amosite, crocidolite and chrysotile), global asbestos producers have targeted consumers in developing countries. Canada is currently the world’s second biggest chrysotile (white asbestos) exporter, sending this class 1 carcinogen to countries with few, if any, safeguards, where it is used by poorly trained and uninformed workers with little access to medical care or sickness benefits. Although Canadian asbestos stakeholders maintain that chrysotile can be used safely under controlled conditions. Canada exports more than 95% of all the asbestos it produces; critics suggest that the Canadian principle of controlled use is a hypocritical ploy to profit from the export of a substance too hazardous to be used at home. By advocating this double standard, Canadian interests are promoting occupational and environmental racism in consuming countries. In view of the rising asbestos death toll, delegates to the conference: Canadian Asbestos: A Global Concern urge Canadian Federal and Regional Governments to renounce their backing of the asbestos industry and withdraw financial and political support from the Asbestos Institute, the Montreal-based body which has been orchestrating global pro-chrysotile support since the mid-1980s. Further be it resolved that the Canadian government immediately join in the global ban on the use and importation of asbestos. Be it further resolved that since the Canadian government has played a direct role in maintaining the asbestos industry globally that it must assume responsibility for harm done to workers, their families and their communities where Canadian asbestos has been used. This liability includes providing the necessary financial resources for the health and compensation of asbestos victims and for assisting in the just transition for workers who are employed in industries that utilize Canadian asbestos. Be it further resolved the conference start the process of negotiating for a United Nations agreement for the worldwide ban of asbestos. This agreement would be negotiated in the framework of the United Nations Environmental Programme (UNEP). ASBESTOS BAN: The use of all forms of asbestos should be banned in developed and developing countries; objective information about safer alternatives is needed to counter industry propaganda such as that being spread in India about the virtues of chrysotile by the Asbestos Cement Products Manufacturers Association. No virtues of chrysotile can excuse the continuing use of such a hazardous substance. The influence of Canada has been applied to oppose efforts in other countries to ban asbestos. Some authorities in Canada are encouraging the use of asbestos in asphalt mixtures for road repairs to generate sales for the ailing local asbestos industry. In the name of occupational health and public safety, these practices must cease. MINIMISATION OF RISK: Labelling of asbestos products contained throughout national infrastructures should be mandatory. National groups of experts and workers with expertise in minimizing exposure to asbestos during maintenance, reconstruction and demolition work should be convened in order to identify approved protocols; these protocols must be enforced. Research into procedures for disposing of asbestos-contaminated waste is needed. All nations should ratify the Basel Convention which classifies asbestos as dangerous waste. The ILO and WHO must adopt the recommendations of chrysotile (International Programme on Chemical Safety - Environmental Health Criteria Document 203: Chrysotile Asbestos, 1998) in line with the decision by many countries to ban asbestos. ; be encouraged to update asbestos-related measures such as ILO convention 162 (adopted 1986!) and Chrysotile Criteria 203 in line with the adoption by many countries of asbestos prohibitions. RAISING AWARENESS: Campaigns for raising awareness of the hazards of asbestos must be carried out amongst the public and exposed sectors of the workforce. Trade unions and NGOs have a pivotal part to play in the education process; medical professionals have an ethical obligation to spread knowledge about these problems. INFORMATION: Information on safer alternatives and national experiences of implementing non-asbestos technologies should be shared. As asbestos-cement products account for 90% of all the asbestos used, it is of paramount importance to disseminate accurate and independent information on substitute materials. The ILO and WHO should produce and distribute literature on these subjects. RESEARCH: Funding is urgently needed for the development and implementation of diagnostic and therapeutic approaches to asbestos-related diseases. Commitments to monitor the current burden of asbestos-related diseases, update epidemiological predictions and conduct medical surveillance of exposed populations are urgently needed; the establishment of national mesothelioma registers should be a priority. COMPENSATION: Laws or procedures for compensating victims, including bystander victims, of asbestos-related diseases must be approved. Governments must take a positive role in providing medical surveillance if this is not done by employers. JUST TRANSITION: Where the implementation of an asbestos ban displaces workers, a policy of just Transition (in line with the Canadian Labour Congress policy on just transition) should be adopted to safeguard the income, employment and welfare of affected workers and their communities. Plans should be put in place to guarantee a pension to all workers displaced from the Canadian asbestos industry; health care should be provided for them and their families. Former asbestos workers should be permitted to work, should they choose to, while receiving their pensions; their expertise could be put to good effect in decontaminating affected buildings and areas. CORPORATE RESPONSIBILTY/OPERATIONS OF ASBESTOS MULTINATIONALS: Corporations that engage in the use of asbestos should be liable under both civil and criminal law. The application by multinational companies of double standards in the treatment of workers, consumers and the public in developed and developing countries must be exposed and terminated; multinationals involved in the mining of asbestos and the marketing and use of asbestos products should accept responsibility for compensating asbestos victims and cleaning up contaminated areas. In many developing countries, multinationals are selling off asbestos interests to ruthless and powerful local entrepreneurs; the ILO and WHO should take up asbestos problems directly with national governments.